The clock has been paused with ten minutes remaining in Level 10. The remaining 28 players will now play a total of three hands before bagging and tagging for the night. 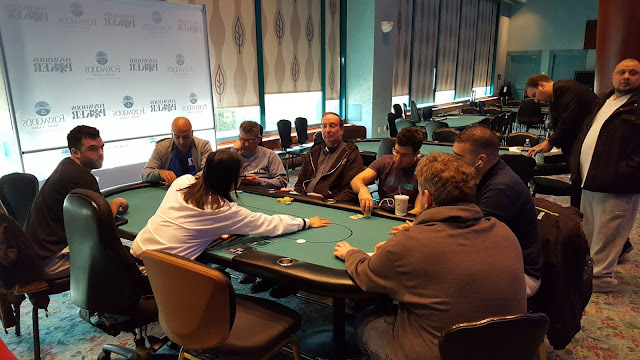 Any player bagging in this event will join with those bagging in Flight B to play Day 2 on Sunday at 11am. A full list of players advancing from this flight (along with chip counts) will be posted later this evening. 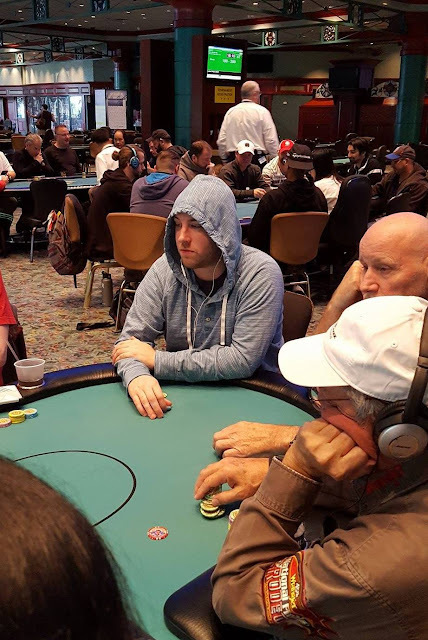 There's around 25,000 in the middle and a board reading 6♥5♦2♣9♦ when Marsel Backa announces that he is all in, and Dan Chalifour snap-calls for less. Chalifour has turned a set holding 9♥9♠ against Backa's 5♠2♠. 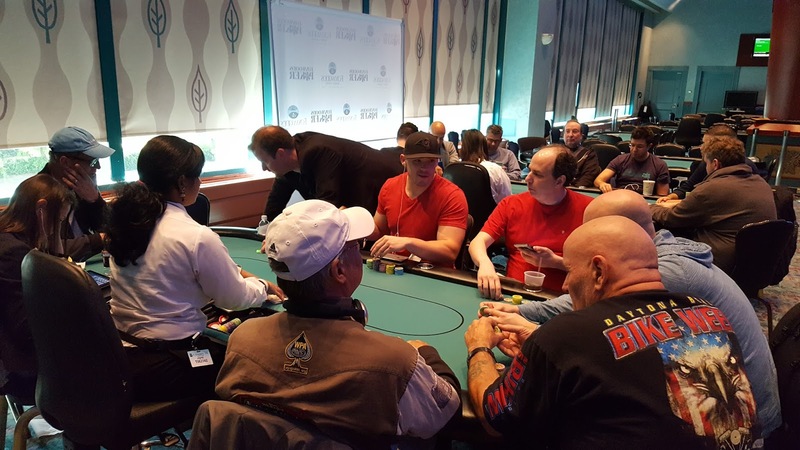 "What a turn for you," Backa says as the dealer lays the 6♦ river, improving Chalifour to a full house. Alex Foxen opens in early position to 2,000 and Kurt Lichtman shoves all in for 13,200 in middle position. Frank Passantino calls in later position and the big blind calls as well. 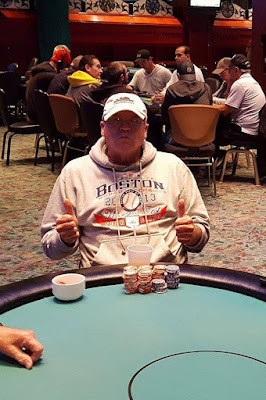 The flop comes 6♥5♦5♣ and the big blind announces that he is all in, having Passantino covered. Passantino thinks for a minute before releasing his cards. 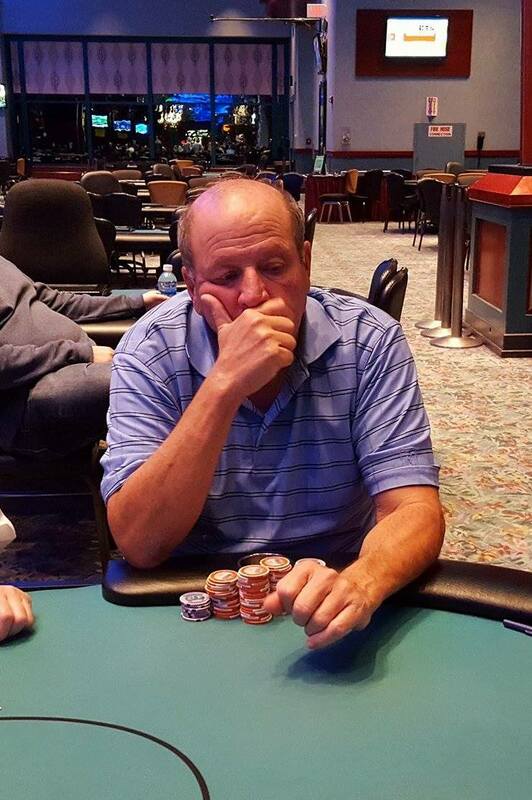 The big blind is ahead only until the turn comes the Q♥ giving Lichtman a pair of queens. 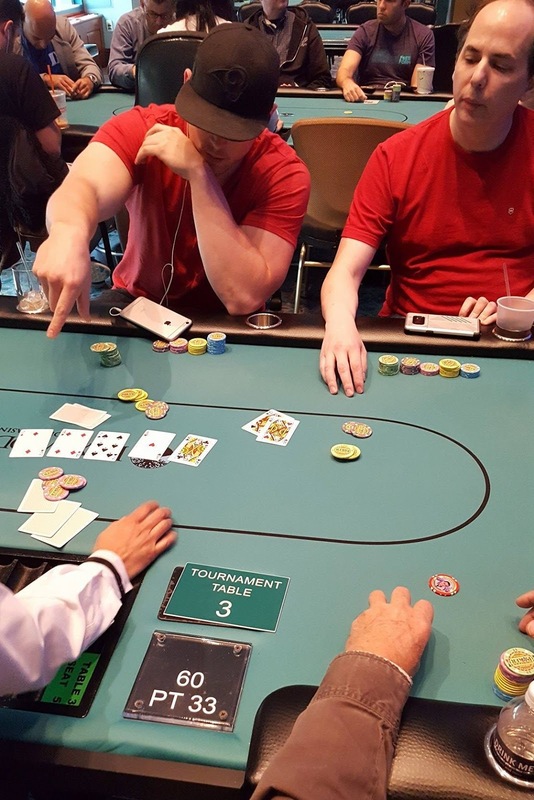 Passantino tells the table that he folded Queen-Nine suited. The J♦ river is safe for Lichtman and he triples up. 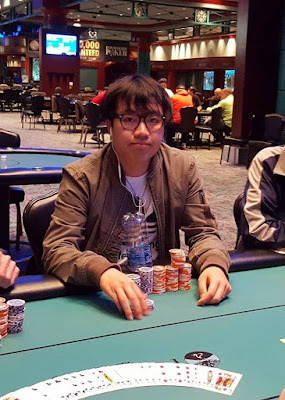 In the second to last level of the night Solomon Yi appears to be the chip leader with 155,000. 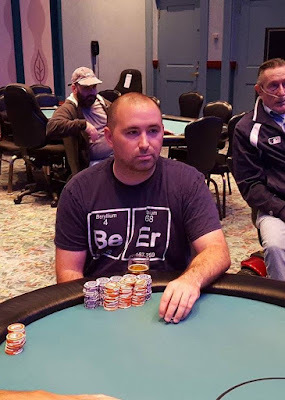 In second at the moment is Konstantinos Mitsopoulos with 125,000. 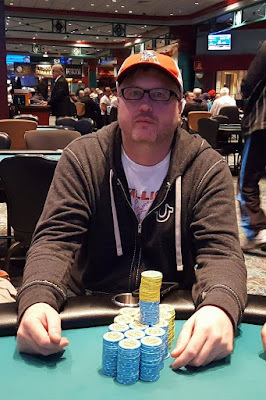 Early chip leader Matthew Wantman now has around 90,000. 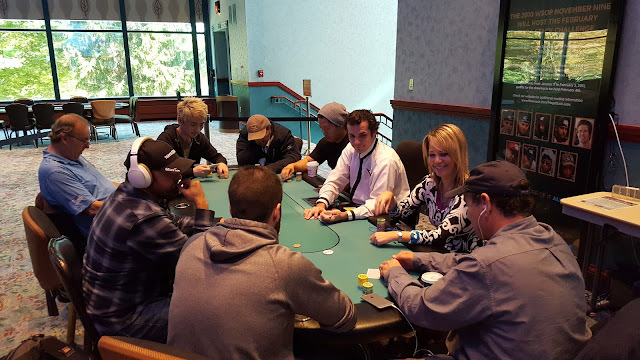 Players are now on their last 15 minute break of the night. They will return to play Levels 9 and 10 and then will bag and tag for the evening. At the present moment 39 of the original 73 entrants remain. Flight B is tomorrow (Saturday) at 11am, and Day 2 play resumes at 11am on Sunday. We are currently at 72 entries in the first of two starting flights in the $2,700 - $500,000 Guaranteed - World Poker Finals Main Event. 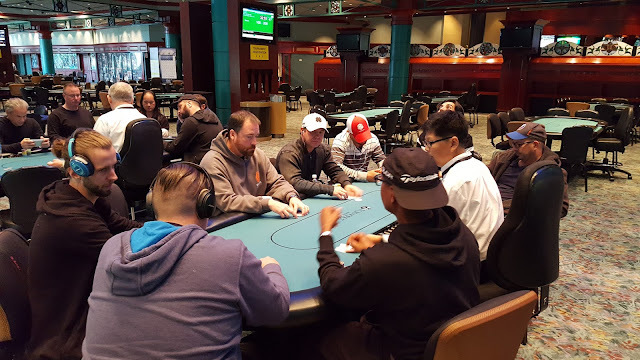 Registration is open until the start of Day 2 (Level 11) so anyone eliminated throughout either of the two starting flights can re-enter up until the start of play on Day 2. 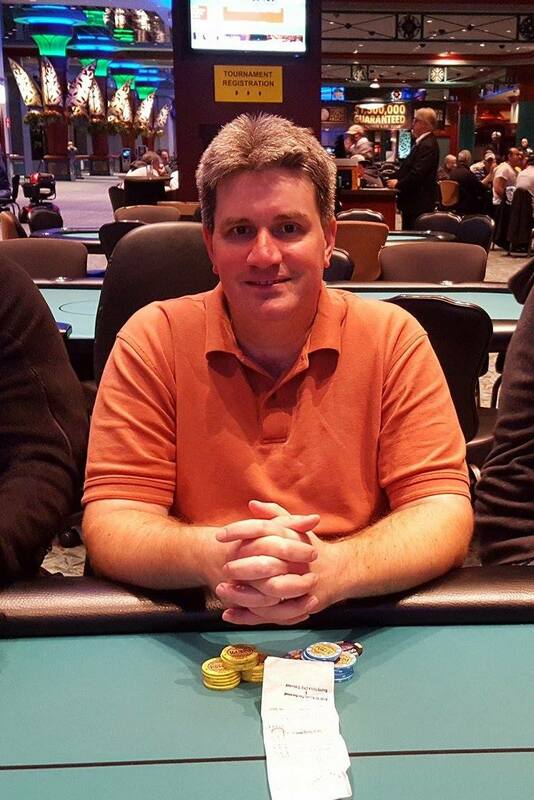 Right now the average chip stack is 44,081. Please see below for just a few of the notables' current stacks. There's nearly 7,000 in the pot and a board reading 4♥2♦2♣. Sam Taylor bets 3,500 in the small blind, and Frank Passantino calls on the button. The turn is the 6♥. This time Taylor opts to check, and Passantino announces that he is all in. Taylor quickly mucks. 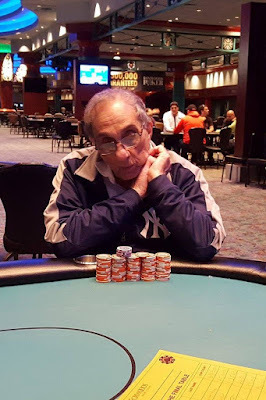 After this pot, Passantino is back to just around starting stack. Today's first flight has seen 69 entries so far, and the clock says 52 remain. Registration is open until the start of Day 2 (Level 11) so the number of entries is sure to climb over the day. 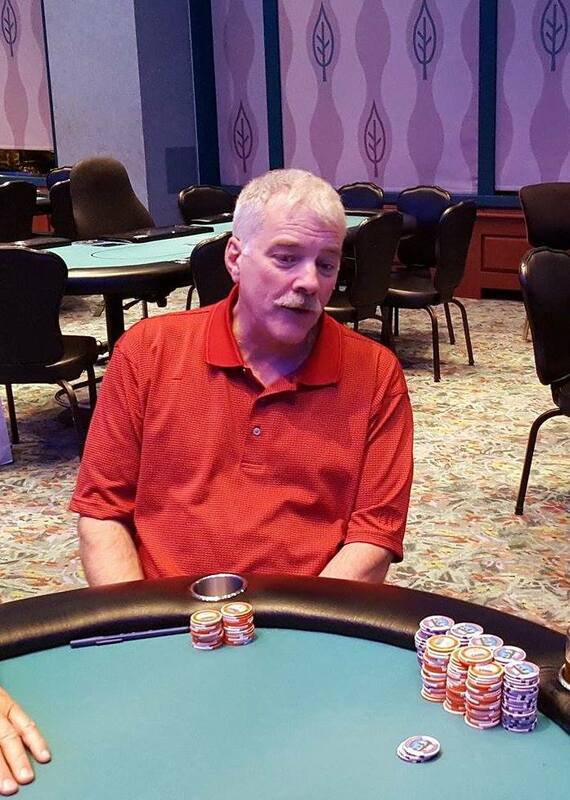 Heading into break, the average chip stack is 39,807. Below is a list of just a few of the notables' stacks heading into the break. 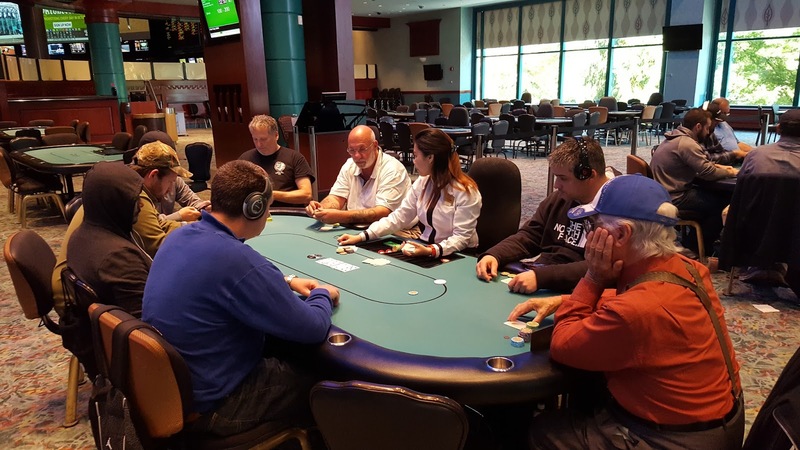 Play will resume at Level 7 (with 250/500 blinds and a 50 ante). A hand played out a few minutes into the dinner break that resulted in the elimination of Brad St. Vincent. The board read Q♠J♦3♣. Solomon Yi checked in the small blind, Dan Chalifour checked in the hijack, and Brad St. Vincent checked in the cutoff. The turn was the 5♣. Yi and Chalifour both checked and St. Vincent bet 3,750. Yi raised to 12,000, Chalifour folded, and St. Vincent went into the tank. After shuffling his chips for nearly three minutes, St. Vincent moved all of his chips forward, shoving all in, and Yi snap-called. Yi turned over A♣A♠ for an overpair. "Nice hand," St. Vincent said as he turned over Q♥4♥ for a pair of queens. 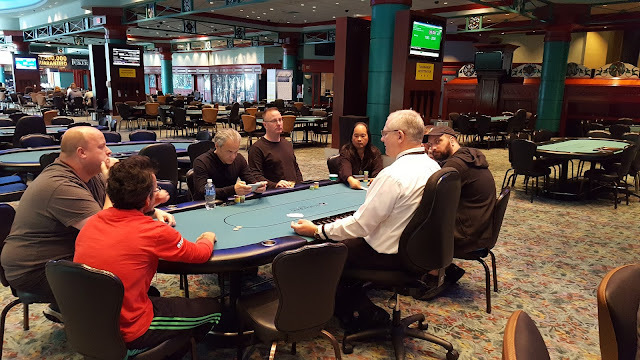 The 10♣ river was no help to St. Vincent and he was eliminated from play, with the option to re-enter during and/or after the 60 minute dinner break. Carlo Sciannameo Wishes His Wife Mary a Very Happy Birthday! One year ago today Carlo Sciannameo was playing in this same tournament on his wife Mary's milestone birthday. 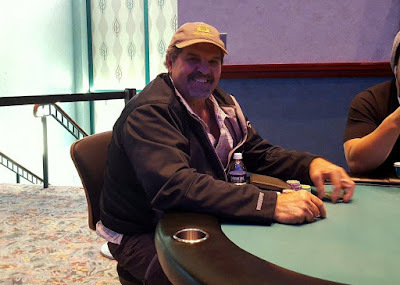 Today, he is back in the Main Event here at Foxwoods on his wife's special day once again. Sciannameo says that he is the luckiest guy in the world to have Mary's support. Zach Donovan shoves all in on the button for 4,775 and the player in the small blind calls. Donovan is way ahead holding K♣K♥ against his opponent's J♥J♦. 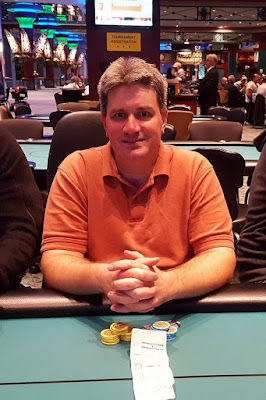 Donovan's lead increases even further when the flop comes K♦6♦2♣ giving him a set. "That's a pretty good flop," table mate Allen Kessler says to Donovan. 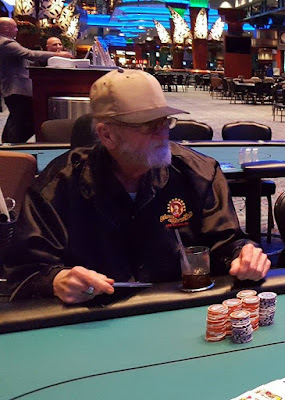 The 2♠ turn and A♣ river do not change the hand and Donovan doubles up. "Newspaper Dan" Chalifour is off to a very strong start in Flight A. He is currently sitting at double starting stack, with 60,000 in chips and is the current chip leader.